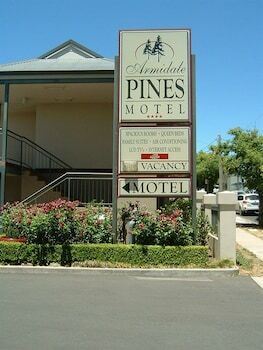 When you stay at Armidale Pines Motel in Armidale, you'll be near the airport, within a 10-minute walk of Armidale Tourist Information and Armidale City Bowling Club. Featured amenities include luggage storage and laundry facilities. Free self parking is available onsite. When you stay at Big4 West Beach Parks in West Beach, you'll be near the beach, within a 5-minute drive of West Beach and Henley Beach. Free self parking is available onsite. With a stay at Corynnia Station in Carrathool, you'll be 22.1 mi (35.6 km) from Gunbar Community Hall and 22.4 mi (36.1 km) from Gunbar Presbyterian Church. Free self parking is available onsite. When you stay at this bed & breakfast in Kalbarri, you'll be by the ocean, within a 15-minute walk of Rainbow Jungle and Kalbarri Visitor Centre. Free self parking is available onsite.